The Pulse Generator block generates square wave pulses at regular intervals. The block waveform parameters, Amplitude, Pulse Width, Period, and Phase delay, determine the shape of the output waveform. The following diagram shows how each parameter affects the waveform. The Pulse Generator block can emit scalar, vector, or matrix signals of any real data type. To cause the block to emit a scalar signal, use scalars to specify the waveform parameters. To cause the block to emit a vector or matrix signal, use vectors or matrices, respectively, to specify the waveform parameters. Each element of the waveform parameters affects the corresponding element of the output signal. For example, the first element of a vector amplitude parameter determines the amplitude of the first element of a vector output pulse. All the waveform parameters must have the same dimensions after scalar expansion. The data type of the output is the same as the data type of the Amplitude parameter. This block output can be generated in time-based or sample-based modes, determined by the Pulse type parameter. In time-based mode, Simulink® computes the block output only at times when the output actually changes. This approach results in fewer computations for the block output over the simulation time period. Activate this mode by setting the Pulse type parameter to Time based. Depending on the pulse waveform characteristics, the intervals between changes in the block output can vary. For this reason, a time-based Pulse Generator block has a variable sample time. The sample time color of such blocks is brown (see View Sample Time Information for more information). 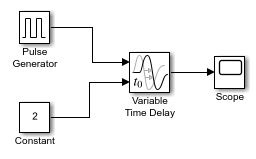 Simulink cannot use a fixed-step solver to compute the output of a time-based pulse generator. 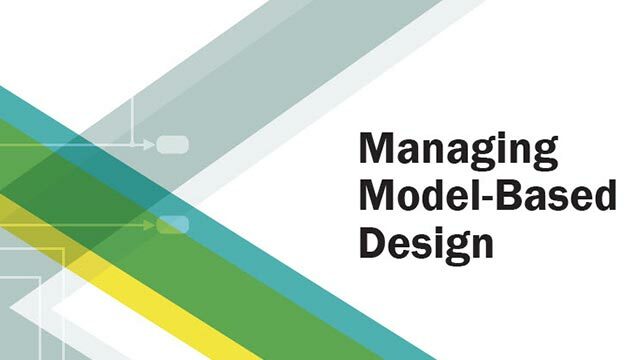 If you specify a fixed-step solver for models that contain time-based pulse generators, Simulink computes a fixed sample time for the time-based pulse generators. Then the time-based pulse generators simulate as sample based. If you use a fixed-step solver and the Pulse type is Time based, choose the step size such that the period, phase delay, and pulse width (in seconds) are integer multiples of the solver step size. For example, suppose that the period is 4 seconds, the pulse width is 75% (that is, 3 s), and the phase delay is 1 s. In this case, the computed sample time is 1 s. Therefore, choose a fixed-step size of 1 or a number that divides 1 exactly (for example, 0.25). To ensure this setting, select auto on the Solver pane of the Configuration Parameters dialog box. In sample-based mode, the block computes its outputs at fixed intervals that you specify. Activate this mode by setting the Pulse type parameter to Sample based. An important difference between the time-based and sample-based modes is that in time-based mode, the block output is based on simulation time, and in sample-based mode, the block output depends only on the simulation start, regardless of elapsed simulation time. This block supports reset semantics in sample-based mode. For example, if a Pulse Generator block is in a resettable subsystem that hits a reset trigger, the block output resets to its initial condition. 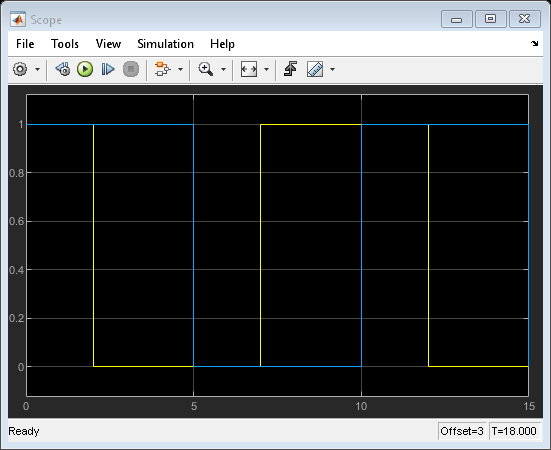 Generated square wave pulse signal specified by the parameters. Specify the type of square wave that this block generates, either time- or sample-based. Some parameters in the dialog box appear depending on whether you select time-based or sample-based. Use simulation time: The block generates an output pulse where the time variable equals the simulation time. Use external signal: The block generates an output pulse where the time variable equals the value from the input port, which can differ from the simulation time. Specify the amplitude of the signal. Pulse period specified in seconds if the pulse type is time-based. If the pulse type is sample-based, then the period is specified as the number of sample times. Duty cycle specified as the percentage of the pulse period that the signal is on if time-based or as number of sample times if sample-based. Delay before the pulse is generated, specified in seconds, if the pulse type is time-based or as number of sample times if the pulse type is sample-based. Length of the sample time for this block in seconds. This parameter appears only if the block's pulse type is sample-based. See Specify Sample Time. Modify a model so that you can change a phase delay for a Pulse Generation block during simulation. The difference in behavior of the Pulse Generator block in time-based and sample-based modes.